North Korea don cancel di summit with South Korea and kom threaten on top di mata say dem go call off di summit wey dem get between US President Donald Trump and Kim Jong-un ontop di American military drills with South Korea, based on wetin South Korean media talk. Pyongyang cancel Di talks with Seoul due based on di Max Thunder military exercises between di South and di US,na wetin Yonhap news agency wey cite North Korean media talk. Di North yan say di drill na rehearsal wey dem wan use enter DPRK and na provocation ontop di warning dem bin give based on say dem dey warm for inter-Korean relationship. AFP report also say, North Korea don give threat say dem go comot di summit wey pipo dey expect wey go dey between US President Donald Trump and North Korean leader Kim Jong-un. Di meeting suppose start for June 12 inside Singapore. 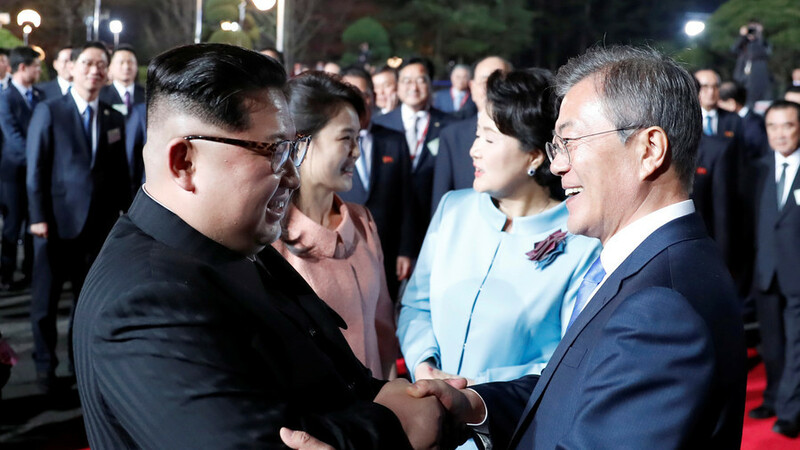 Di news don come like blow afta di historic talks wey two leaders for di two Koreas in April and Di meeting between Kim and US Secretary of State Mike Pompeo. Pompeo yan on Sunday say, any deal wey go clear road for nuclear-free Korean peninsula go also include US safeguards, and Promise wey go show say Kim nogo be target for anoda regime attempt. Pyongyang bin plan di nuclear bomb test site dismantle to be from May 23-25, North Korean media report am on Saturday. Di report on top dis mata wey concern di suspension, come afta hours Seoul and Pyongyang agree on Tuesday say dem go hold high-level inter-Korea talks on May 16. Di leaders bin dey plan to discuss di steps dem go use destroy peninsula’s nuclear mata. Di Max Thunder 18 drills be one of di number for di joint military drills wey South Korea and di US dey do for Korean peninsula. North Korea don see dis drill say e dey show say dem dey annoyed on top Pyongyang. Di two-week Max Thunder 18 air drills kicked start on Friday, wey planes wey pass 100 planes follow, wey include F-22 fighters and B-52 bombers, Yonhap report am last week. “Na Through dis practical exercise, di air forces of South Korea and di US plan to improve aerial operations techniques,” an na South Korean officer tell Yonhap.